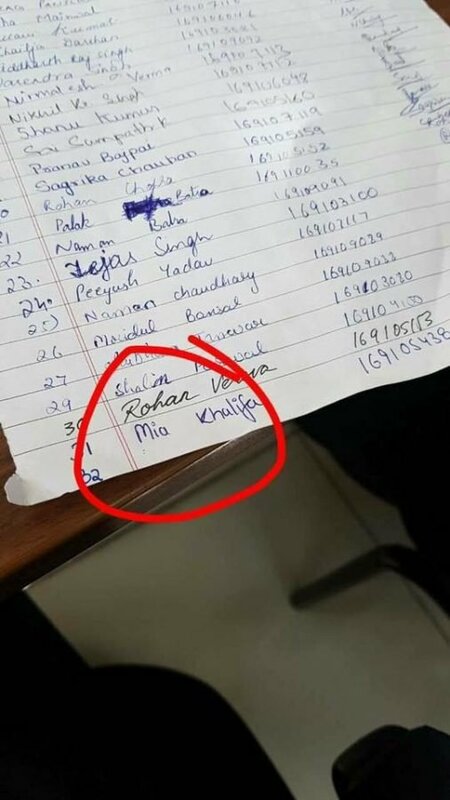 Epic Prank when Student Adds Mia Khalifa’s Name to Attendance Sheet! Who on the earth doesn’t know Mia Khalifa? She has become an internet sensation and has become popular for her hotness and naughty videos/ photos that she keeps posting on social media. However, there are still some people who are literally “Clueless” about Mia Khalifa is. One among them is this class teacher, who got trolled by his students. Looks as if he had not heard her name too. We all have loved to have fun in our school or college and some of us have even played pranks on our teachers, isn’t it? This poor professor became a victim of “Mia Khalifa prank” but it’s very funny.